The aquarium’s map and daily program of feedings and activities, given to every arriving guest, includes a prominent note alerting visitors that they can opt-in for text message alerts during their stay. 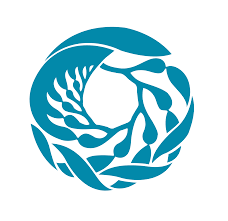 Located on coastal Monterey Bay, which is the heart of the largest national marine sanctuary on the West Coast, the Monterey Bay Aquarium has a unique opportunity to use its surrounding environment as an educational aid and to provide a unique glimpse of sea creatures in their natural habitat. 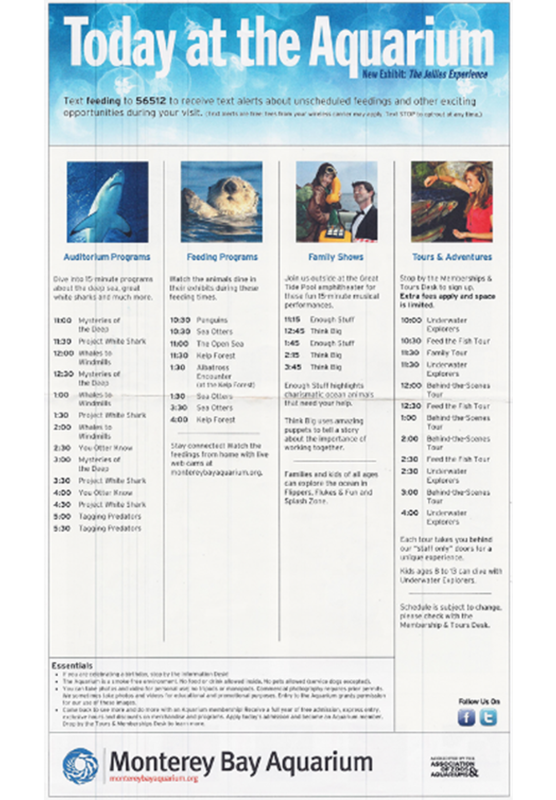 It features an extensive schedule of daily shows and activities about the aquarium’s 40,000 animals and plants. 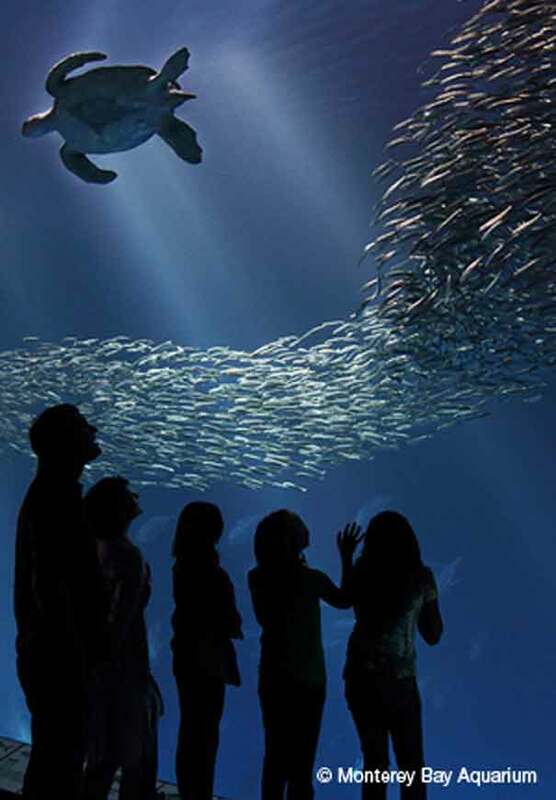 With thousands of people visiting the aquarium every day, scheduled and popular events such as feeding shows and auditorium programs can quickly reach capacity. At the same time, many other feedings take place on an unscheduled basis and at exhibits that weren’t designed for formal feeding presentations that can accommodate large numbers of people. Many visitors may also miss out on marine mammal sightings from the back deck simply because there has been no easy way to inform visitors in a timely fashion. The aquarium’s map and daily program of feedings and activities, given to every arriving guest, includes a prominent note alerting visitors that they can opt-in for text message alerts during their stay. 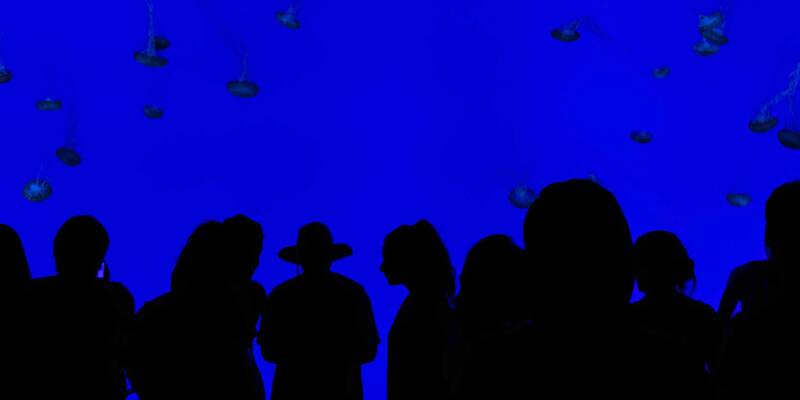 By texting “FEEDING” to a specified number, they will – during their visit – receive special text message notifications about UFOs (Unscheduled Feeding Opportunities) from the aquarium throughout the day. The aquarium can also schedule alerts ahead of time, and has the flexibility to instantly send out updates when, for example, a pod of dolphins or passing humpback whale is spotted off the back deck. The text message alerts conclude with an invitation to join the aquarium’s e-newsletter mailing list. All text alert subscriptions expire when the visitor opts-out, or when the aquarium closes for the day. Guide by Cell’s text message alerts allows the aquarium to control the crowd flow and direct guests wherever the aquarium would like them to be, as well as increase engagement and make guests feel like VIP’s with notification of unscheduled feedings, marine mammal sightings and even “sneak peek” behind-the-scenes tours. Visitors who previously would have had these experiences only if they were in the right place at the right time, or who would prefer to avoid large crowds at the scheduled programs, now have an opportunity to be notified of smaller, more intimate unscheduled events via Monterey Bay Aquarium’s text message alert system from Guide by Cell. 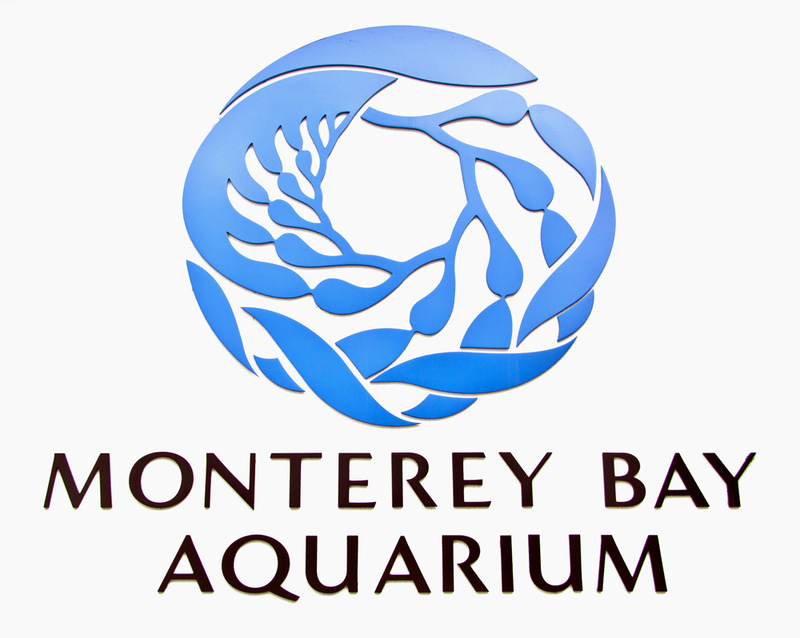 The aquarium also received positive feedback via social media such as Yelp and TripAdvisor for this experience, and built their contact database, allowing them to continue their conversation and integrating into a larger marketing and engagement strategy.